STEEL CITY CUP was held on Sunday 9th September 2018. This is an end of season challenge cup held at Spinkhill track, for invited local clubs. Congratulations to CHESTERFIELD & DISTRICT AC who won both the Cup and the Relays Shield in their first participation. 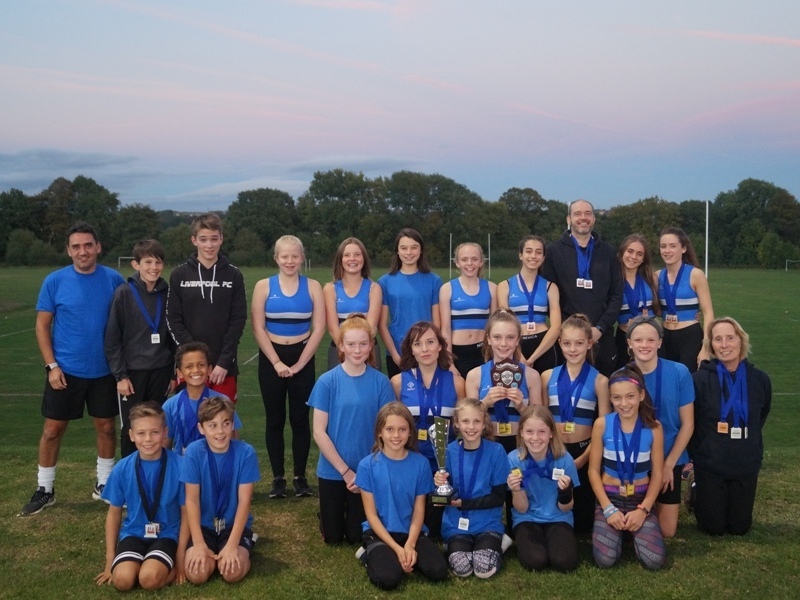 The event was contested by Barnsley & Wombwell, City of Sheffield, Chesterfield, Doncaster, Hallamshire Harriers, Rotherham Harreirs and 2 Dash - attracting nearly 300 athletes. SHEFFIELD FESTIVAL INDOOR OPEN as held on Sunday 28h January 2018 at E.I.S. Sheffield. This year attracted a record entry of 526 athletes, and we were especially pleased to welcome contingents from Poland, Guernsey and Jersey. The meeting is now truly a National one, with a number of senior and performance athletes making it one of the highest-quality opens on the calendar..e cup was won by City of Sheffield AC and the shield by HallamshirHarriers. Proceeds form the event meant we were again able to give a cheque to BLUEBELL WOOD CHILDREN'S HOSPICE and, thanks to everyone's efforts we were able to raise £862.50 for this very good cause. Thank you to all who took part, and the hard-working officials and volunteers who made it such a success. John visited E.I.S.to hand a cheque for £200 to TOP CLUB, a local organisation in Sheffield who do sterling work providing athletics opportunities for people with learning difficulties. Receiving the cheque on behalf of Top Club are Andy Longden and Leslie Morgan. SHEFFIELD STEEL CITY CUP and SHIELD took place on 10th September 2017 at Mount St Mary's, Spinkhill. 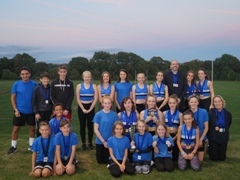 The cup was won by City of Sheffield AC and the shield by Hallamshire Harriers. Proceeds of the day were earmarked for BLUEBELL WOOD CHILDREN'S HOSPICE and, thanks to everyone's generous donations on the day - plus Mount St Mary for giving us free hire of the venue - we were able to raise £704.61 for this very good cause. 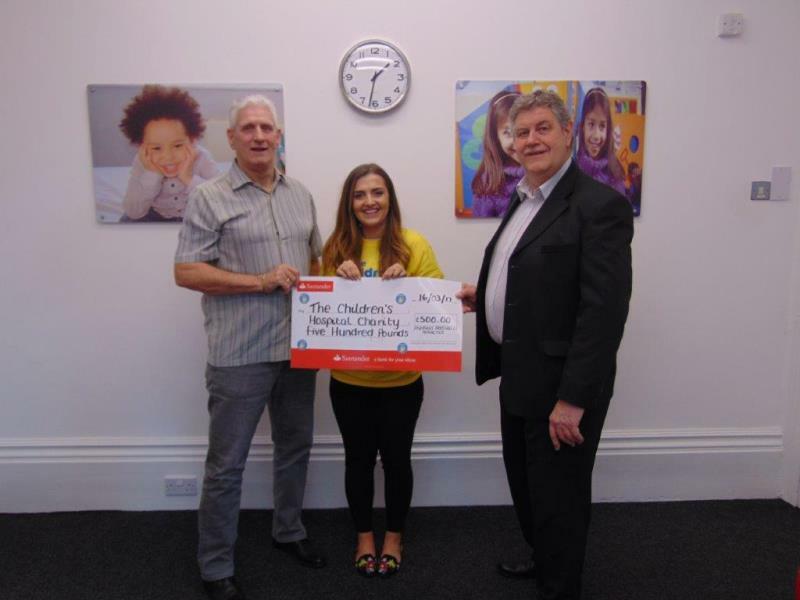 SHEFFIELD FESTIVAL OF ATHLETICS was pleased to donate £500 to SHEFFIELD CHILDREN'S HOSPITAL from the proceeds of the INDOOR OPEN in January 2016. Thank you to all who took part, and the hard-working officials and volunteers who made it such a success. If you would like to help this charity further, you can find out how to here.